Bill Kristol is demanding the head of GOP national chairman Michael Steele, who, in a moment of honesty, questioned the wisdom of invading and occupying Afghanistan. Yet Kristol has never been elected to anything: indeed, the pretentious little gremlin once threatened to quit the GOP, back in the 1990s, when the Republicans in Congress voted to deny funding to Bill Clinton’s Balkan adventure. Kristol, who had thrilled at the opportunity to “crush Serb skulls,” as he put it, stamped his foot and declared his imminent defection. Too bad he never followed through on his promise. Now he’s assuming the mantle of Republican kingmaker: based on his atrocious record as the GOP’s grand strategist, it’s Kristol, not Steele, who should resign. Having dragged the GOP down to utter defeat with eight years of “big government conservatism,” i.e. perpetual war and ballooning deficits, and handed the country over to the tender mercies of the Obama cult, it seems Kristol and his fellow neocons are determined to drag the party all the way down to the status of an irrelevant sect, i.e. the neoconservatives writ a bit larger. The Iraq war, of which Kristol was a leading champion, has bankrupted the country, and destabilized the entire region, just as Republican critics of the war such as the Committee for the Republic, and top Pentagon leaders, feared it would. These are, essentially, the arguments the Old Right made and has continued to make down through the years, from John T. Flynn and Garet Garrett in the 1930s and 40s and continuing down to the present day in this column, and in such magazines as The American Conservative, Chronicles, and in such political manifestations as the Ron Paul movement, and the Buchanan and Perot campaigns. These are not liberals. (only Flynn was ever a Democrat, and FDR cured him – permanently – of that habit). This was immediately followed by a chorus of horrified reactions from Glenn Greenwald and other defenders of the old liberal agenda, who remembered the same sort of rhetoric being employed against war critics – i.e. themselves – in the run-up to the Iraq invasion. After all, they want to know, what about all those Democrats who had just voted to essentially withdraw from Afghanistan – “without finishing the job” – during the recent congressional debate over military appropriations for our endless Central Asian campaign? Are they, too, “rooting for failure” and “undermining the morale of our troops”? The liberals nearly fainted with horror: why, we don’t do that kind of thing! That’s a page taken from Karl Rove’s handbook, they exclaimed: but liberal Democrats are better than that! But are they really? Sure, Woodhouse is reading from page one of the Rovian script, but, come to think of it, it’s also a page torn from Lyndon Baines Johnson’s book, and, further back, FDR’s and Woodrow Wilson’s, too. To Roosevelt, the anti-war movement of his time – consisting, I would remind you, of conservative Republicans, alongside old-fashioned liberals and lefties such as Norman Thomas – were “copperheads,” a “Nazi fifth column” in the United States. As for Wilson, he didn’t bother arguing with his anti-war opponents: he simply had them jailed. There is, in short, plenty of precedent on what passes for the “left” in this country for the kind of smear campaign the DNC and its enablers in the media have launched against Steele, and, particularly in the case of the Obama cult, none of this is especially surprising. The peculiar righteousness that infuses the President’s supporters, married to a war agenda of unsurpassed ambition, is particularly susceptible to feeding frenzies of this sort – and, of course, the neocons feast on such emotions like vampires feed on blood. Here is the political basis for the amazingly broad grand coalition that has coagulated around the call for Steele’s ouster, stretching all the way from the DNC to Liz Cheney, the latter adding a comic note to the proceedings. Ms. Cheney, who is probably the second most unpopular political figure in the country – her father being the first – angrily demanded Steele step down. If the neocons are really out to destroy the GOP as a credible political force, they ought to push to put Liz in charge. It’s the DNC’s dream come true. Technically, you could say Steele’s statement was in error, but only in the narrowest sense: what he really meant to say – or, rather, what he should have said – is that the war in Pakistan, which is just an extension of the battle for Afghanistan, is a war of Obama’s choosing. Our not-so-secret “secret war” in that country is akin to jumping up and down on the surface of a rather unstable nuclear time bomb, one about to go off. The burgeoning conflict in Pakistan is certainly a “war of choice,” a new and ominous development that has taken place almost entirely under Obama’s watch. You’ll recall that the prospect of it worried even John McCain during the campaign, back when Obama vowed he’d go into Pakistan in “hot pursuit” of our elusive enemy, and here is one of those rare campaign promises the President has actually delivered on. In opening up a new front in Pakistan, President Obama has taken Washington’s ongoing campaign to implant a US colony in Central Asia to a whole new level, launching a conflict that will no doubt go down in the history books as Obama’s War. 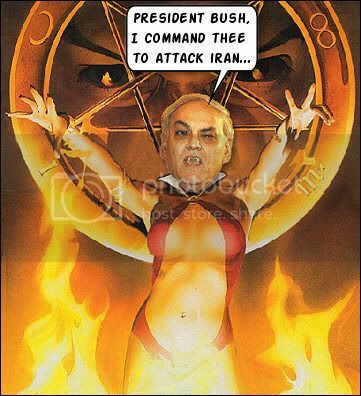 The Iraqi “surge” was naturally followed by the Afghan “surge,” and, very shortly, a Pakistani “surge,” as the war of conquest begun by the Bush administration is carried through to the very end by his Democratic successors – a war the Democratic party leadership fully supports, and is prepared to defend politically. That they don’t have to defend it very convincingly, or even in a united fashion, is due to the neocon lock on the “opposition” party, which only offers a stronger version of the same nationalist poison and an even more explicitly crazed interventionism. This is how the two-party monopoly ensures the American people will never get to vote the warmongers out: the War Party dominates both parties. The Democrats’ worst nightmare is that a Republican of the Ron Paul variety (no, not Rand, unfortunately) will rise out of the grassroots and begin to offer the American people an alternative to perpetual war. That’s why the political Establishment hated Perot with such white-hot passion – one of many reasons – and why their bottom-feeding media minions of the Dave Weigel-Jamie Kirchick-Orange Line Mafia brigade made a point of conducting a coordinated smear campaign against Rep. Paul during the last presidential campaign. Chairman Steele was absolutely correct in his remarks on the futile crusade to conquer Afghanistan, and I don’t care how many retractions and apologies he’s forced to make: his words reflect the feelings of countless Republicans, and the majority of Americans. War weariness is not a partisan phenomenon: we all feel it, Republicans and Democrats, conservatives and liberals alike. As it gathers force and weight, hanging like a dark cloud over a political landscape that is increasingly littered with the prone bodies of incumbent politicians, the GOP leadership ought to think twice before they hand the reins over to losers like Bill Kristol and Liz Cheney. The entire political Establishment, from the right-wing neocons at the Weekly Standard to the left-neocons at The New Republic, is uniting around a “hate Michael Steele” campaign. I’ve never been a Steele fan until now, but anyone who can provoke such enmity from such a wide variety of creeps and cretins deserves to be supported to the hilt.